My great grandmother Caroline Porubsky Wolford had the gift of the gab, a traditionally Irish phrase, but one that applies nonetheless to this Volga German lady. From her home in Topeka, she made regular phone calls back east to her daughter Barb and granddaughters Julie, Marie and Becky in Youngstown. 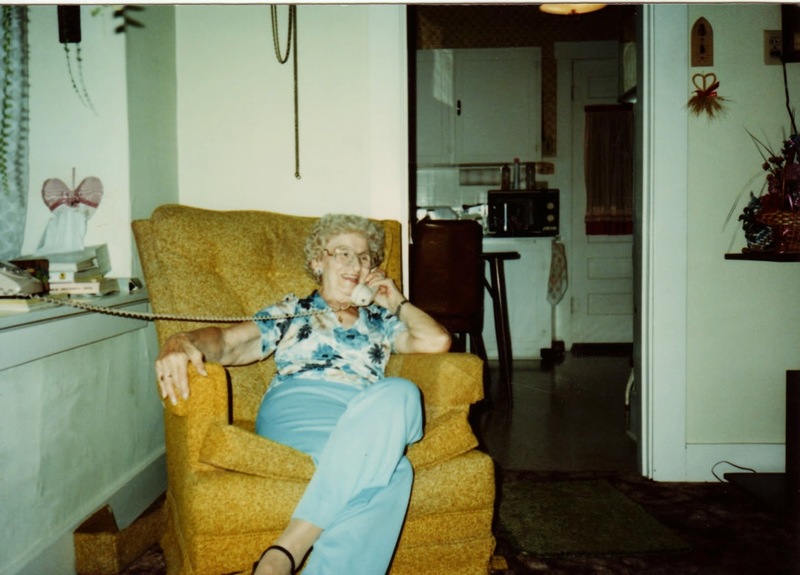 I’m guessing this snapshot was taken sometime in the 1980’s while great grandma made one of those calls.